All trading strategies must be back tested, optimized, and validated before going live with real money. While it is true that many intermediate level trading applications provide scripting language which allows traders to develop and back test trading strategies, we found there were no back testing libraries available for advanced trading system developers who prefer to program their trading strategies in low-level programming languages such as C++, C# and Java. So, we developed a back testing engine for advanced system developers. 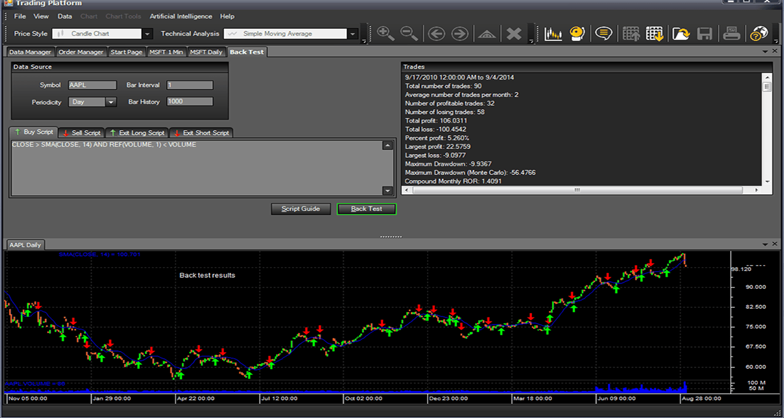 Expert Advisors : MST TRADER and MST PLUGIN supports scripting for algorithmic trading. Trader can develop strategies to buy or sell a script using Trade-script. You can back-test your strategy on historical data to validate its performance. Code: Code your technical analysis strategy in Trade Script. 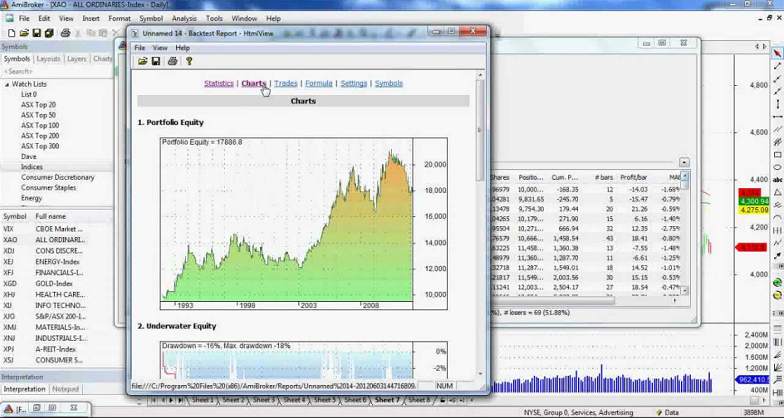 Backtest: Backtest your strategy on MST TRADER and MST Plugin to study its past performance. 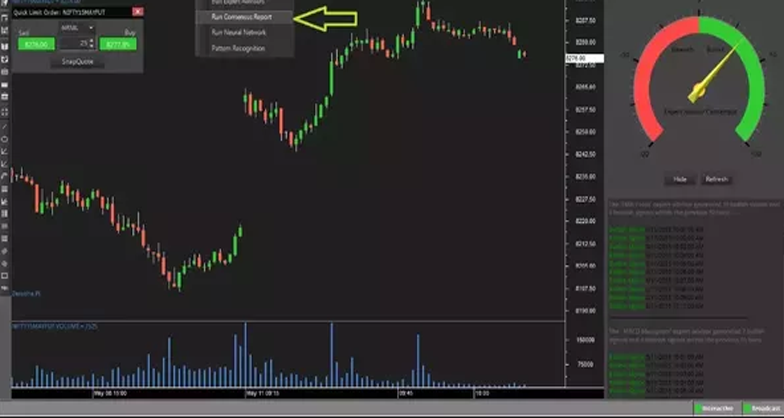 Take Live: Take your strategy live on MST Trader Advisors to generate real-time Buy/Sell signals with one-click execution.